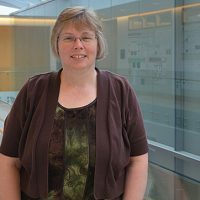 I recently got to interview another member of the chemistry department here at Grove City: Dr. Susan Cramer. After attending Malone University and obtaining her undergraduate degree in chemistry, Dr. Cramer got her master’s degree from the University of Toledo. While she was on a trip home, she stopped by her alma mater (Malone), and was informed of a teaching opportunity, which she later applied for and accepted. After teaching at Malone for four years, she returned to the University of Akron to get her Ph.D. While there, she saw an ad for an opening in the Grove City College Department of Chemistry and has been here as a faculty member since the fall of 2002. Dr. Cramer is involved in variety of aspects for the department. 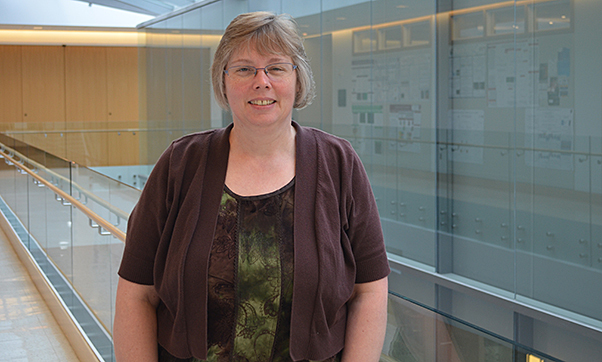 As an organic chemist, she primarily teaches that class and the lab that accompanies it. She was originally hired to teach polymer chemistry, as well as “baby chem” (chemistry for non-science majors), and she still teaches these classes periodically. Teaching class and labs is something she enjoys, and she mentioned to me how Grove City is unique because professors are the ones doing all the teaching, not graduate assistants. Having grown up on a small dairy farm in Ohio, the small-town aspect of Grove City is just one of the things that is very attractive about the College to Dr. Cramer. She also enjoys the amount of equipment and instrumentation that Grove City provides for students to use to get “hands-on” experience. One of the things that originally drew her to Grove City was the resources the College is able to provide to students, since many other colleges do not have these same opportunities. Another thing that drew her to Grove City, and has kept her here, is the fact that Grove City is a Christian institution. Dr. Cramer wanted to stay at a small Christian college since this is similar to where she went to college. She told me that she “can openly share [her] faith” here, and that is something she was unable to do at other institutions she worked. Something Dr. Cramer emphasized during our interview was the level of personal interaction that happens between students and faculty at Grove City. They both get to know each other well, and faculty will not only know student’s names, but they will know much more about them. She mentioned that she has lunch with different students regularly, and every year she hosts a fall party at her house for members of ACS. She also highlighted how students become very close with the other members of their class, and how that is fun for both the students and the faculty. She was able to recount to me many different stories of interactions with students over the years, and how that makes her job more enjoyable. Her care for students was evident even as I sat outside her office with friends a few weeks after this interview, and she took the time to come say hi to all of us and check in on how everyone was doing. Dr. Cramer has served Grove City well for many years, and will no doubt continue to do so.